It's officially time to shop for Christmas! I can't believe November is almost over and I still have all of my shopping to do! As we approach the biggest shopping weekend of the year, I'm excited to put together a little gift guide to give you an idea of what we are loving and what's on my shopping list. Shopping for My Hubby. It would be so much easier to put together a list of things if he gave me hints. 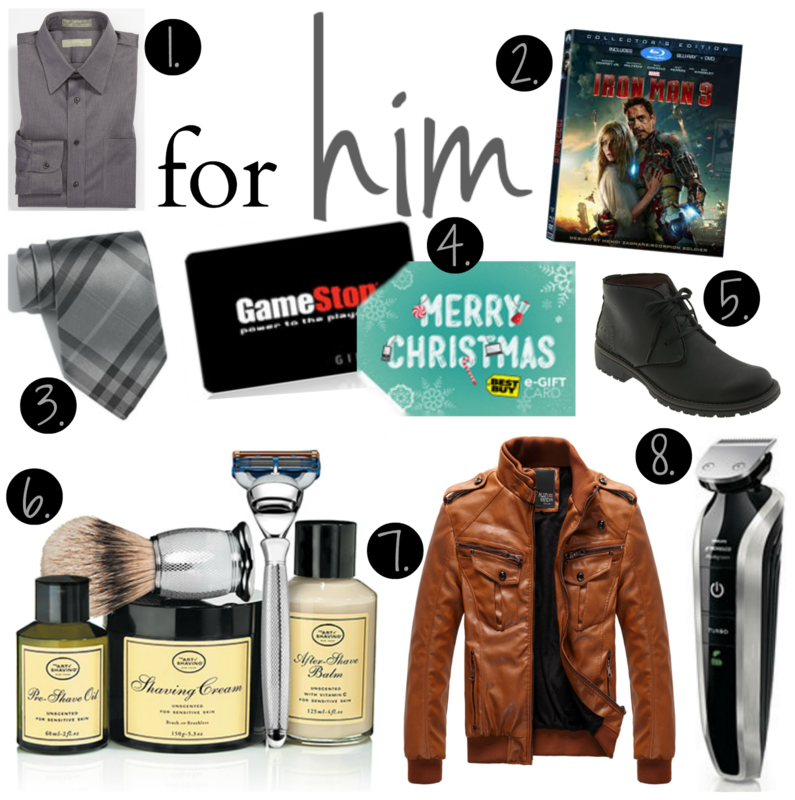 I thought putting together a list of things I want to get him along with some of his current favorite things would make a pretty solid gift guide. And for her well, that is basically my Christmas wish list [emphasis on wish]. I had the hardest time coming up with my own Christmas list this year, and somehow I ended up with a pretty awesome list wish list! It's a lot of pink but that's me completely! Today we I [I always include Adie like she has a say] decided to make Honey Cinnamon Butter and take them over to my stinking cute girls I visit teach! It was the easiest recipe ever and it will go perfect on any delicious dinner roll! I had the cutest and happiest helper ever! I just want to gobble her up! Combine all ingredients and mix until whipped texture is achieved. 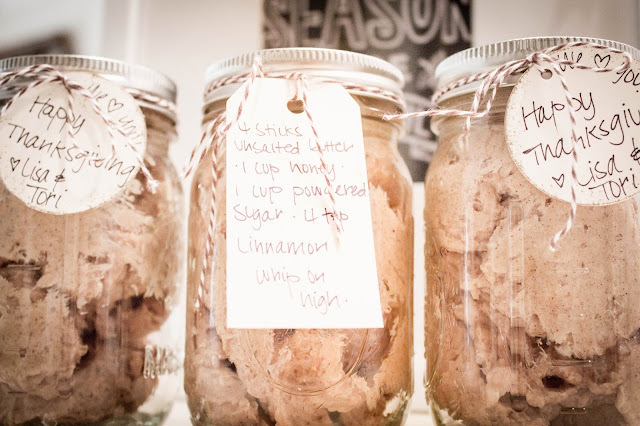 This recipe will make enough to fill three mason jars, of course you can cut it if you want less. Best served on warm dinner rolls! I sure hope your tomorrow is filled with turkey, mashed potatoes, rolls ;) and pumpkin pie with a ton of whip cream! But more important with the people you love!